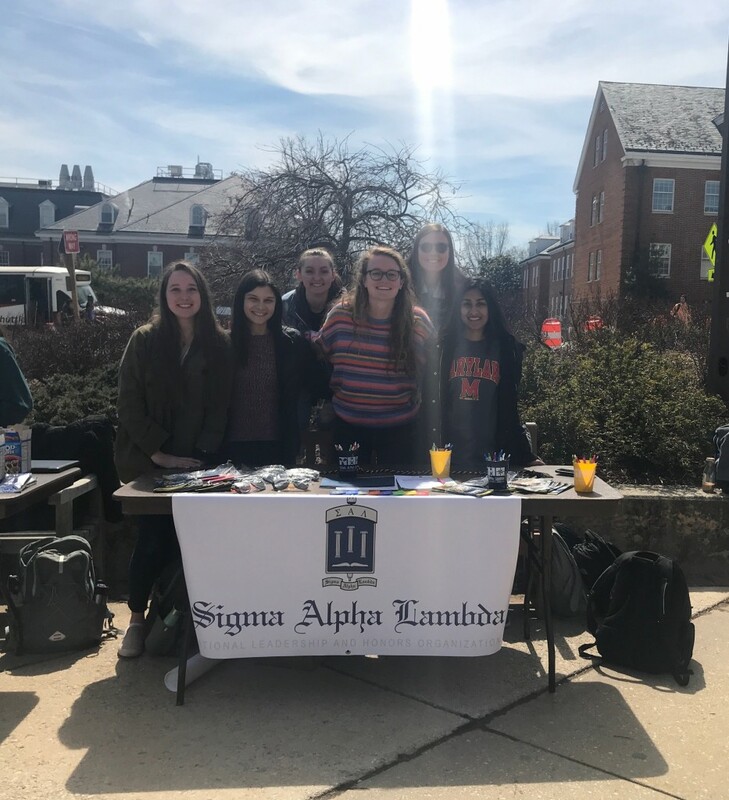 Welcome back to Sigma Alpha Lambda, University of Maryland! After a multiyear hiatus, current students have worked diligently together to bring SAL back home to College Park. “Once I learned what the organization was about and what it fostered, I knew I wanted to begin a chapter,” says founding chapter vice president Simone Oliver. Oliver learned about our national service, achievement, and leadership organization from Kaleigh Pikulsky, UMD’s founding chapter president and a transfer from Virginia Tech’s SAL officer team. When she joined SAL at Virginia Tech, Pikulsky “became really involved in service activities and made friends with similar interests.” Membership in Sigma Alpha Lambda allowed her to become an active member of her community right away in her first year of college. After Pikulsky transferred to UMD, we asked her if she would help us establish a SAL chapter at her new school. “I was thrilled because I wanted to share the valuable experiences SAL has given to me with other students at the University of Maryland College Park,” says Pikulsky. Like most SAL chapters, UMD has been busy working together as an officer team to plan events and activities for new members. The chapter’s immediate goals include “participating in the American Cancer Society’s Relay For Life, planning fundraisers and bake sales, organizing recruitment events, and holding our first chapter meeting,” according to Pikulsky. Welcome to the Sigma Alpha Lambda family, University of Maryland College Park. We’re glad to have you back.